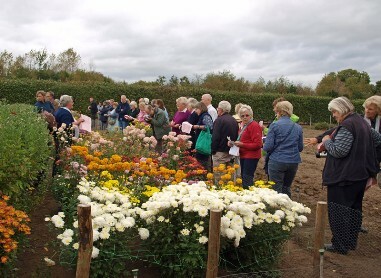 The Hardy Chrysanthemum Open Day on Tuesday October 11th was a great success over 110 attended in the morning at the Hillside Centre to listen to three speakers, buy plants and study the displays around the room. 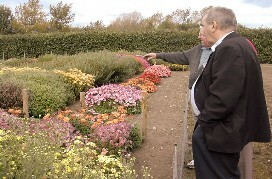 Head Gardeners including a Paris garden, plus a Dutch plant breeder attended. 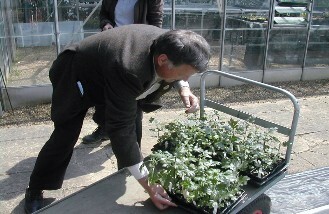 In the afternoon others arrived at the Hillside Centre or walked down to the trials field to look at the plants growing. Spring 2010 the plants were delivered to the isolation holding bay to be checked by the RHS staff prior to planting at Deers Farm just down the road from the main garden. 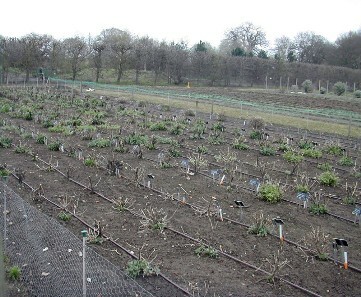 My thanks goes to Andrew McDougall who over several previous years has been visiting my trials on allotments near St Albans to assess, advise and take cuttings to propagate for Wisley. Following a very hard winter in 2009-2010 Andrew had his work cut out to find enough glasshouse space to achieve all, and many hundreds of plants were raised for the final delivery selection. In the meantime I spent many hours with spreadsheets using my data on flowering time, height, spread, type of flower, and colour to assist planting. 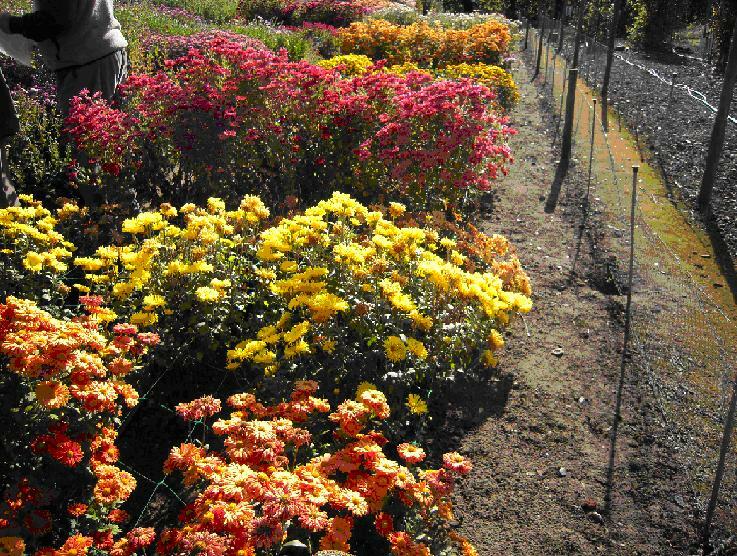 Of all the chrysanthemums in the trial 75% were from the National Collection. The first year all grew very well and gave clouds of colour on flowering in waves from August to November. The winter 2010- 2011 was very harsh and in December temperatures dropped to -17 ?C would they all survive? They all did and slowly green tufts appeared in May romping away by mid- summer to fill all the beds to overflowing. More news on the 2012 trial to be added later.